In the last week the U.S. Court of Appeals for the 10th Circuit decided the case of Hasan vs. American Express and Hasan vs. Chase Bank. 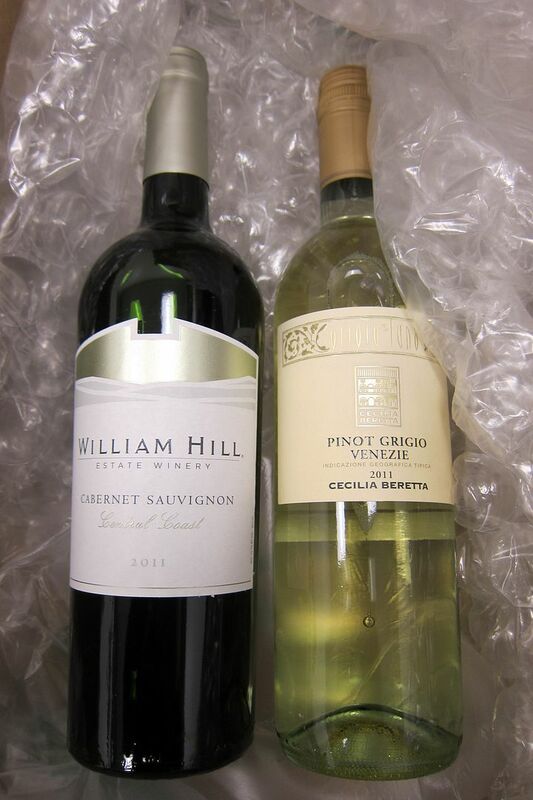 Dr. Malik Hasan paid $1 million for wine from Premier Cru Fine Wines in Berkeley, California. He charged the purchases to American Express and Chase credit cards. Premier Cru went out of business without shipping these purchases. Neither American Express nor Chase fully honored his charge back request, and he sued under the Fair Credit Billing Act. American Express did not honor any of the charge backs. Chase honored $100,136.88 in charge backs. That’s the amount of the disputed charges that were made in the 540 days prior to his demand letter. Chase explained in court documents that “the bank could charge back through the payment networks” amounts disputed within 540 days, however during oral argument the bank contended that they were under no obligation from the Fair Credit Billing Act to honor charge backs that far and it was a voluntary decision on their part. The two cases were initially dismissed based on the arguement that both Chase and American Express made that “because Hasan had fully paid the balance on his credit cards, he had no claim under” the Fair Credit Billing Act. The bank is on the hook for “the amount of credit outstanding with respect to [the disputed] transaction at the time the cardholder first notifies the card issuer . . . of such claim or defense.” And the court ruled that since the credit card bills had already been paid, there was no “credit outstanding” and thus the charges in question weren’t subject to consumer rights under the Fair Credit Billing Act. So the amount of credit “outstanding” was whatever Hasan hadn’t yet paid to Chase and AmEx for the wine. But Hasan specifically alleged in his complaint that he paid both Chase and AmEx in full for his wine purchases. So there was no “credit outstanding” relating to the wine purchases. And because recovery under § 1666i is limited to the “amount of credit outstanding,” Hasan could recover nothing under that statute. This isn’t at all how I’ve understood consumer rights with respect to charge backs. Credit remains outstanding until items purchased are delivered. At least this is how charge backs have worked in practice. Since the amounts involved are so large, American Express and Chase didn’t necessarily want to voluntarily follow this procedure and they’ve convinced the 10th Circuit that they aren’t required to do so. The 10th Circuit is based in Denver and covers Colorado; Kansas; New Mexico; Oklahoma; Utah; and Wyoming. That must have been quite a party with all that wine…. Not sure why he waited so long to file the charge back disputes, I would have done it after a couple of weeks or a month at most. My guess is he waited because he bought futures and only after he realized they would never come did he try to get his money back. With this decision, isn’t the 10th Circuit signalling consumers to not pay their credit card bills if we think we might have a dispute? Yeah, this guy also tried to get an insurance company to pay for his missing wine. They did not have to pay either, since he was trying to claim that they has insured wine that did not yet exist. His dealing with the insurance company is probably also part of the reason it took him so long to file against Chase and AMEX. Although this does appear to be the correct reading of the law, it certainly goes against every other application of the law that I have ever seen. I do see both sides. Chase and AMEX were looking at having to pay something back that occurred in the distant past and would have no opportunity to recover their funds because it took Hasan so long to claim against them. There really should be a limitation on how long they remain on the hook for a transaction. On the other hand, AMEX and Chase approved the merchant and processed the transactions, so they bear at least some responsibility for allowing the merchant to process charges that were not going to be fulfilled. Life in the “New America”. Screw everyone. I wonder if the case would be different if the plaintiff was a leading politician. So much for so-called consumer protection. aren’t charge back and disputes only valid within 60days of statement date? This guy waited for 2 years???? I wouldn’t rule in his favor either. Oh and why did he wait so long? Who would not pay down their credit card if they had the means, thereby avoiding high monthly interest charges, on the off chance they might need to set a charge-back claim in motion at some later date? Why do you address Hasan as Doctor and not others? Watch Chase and Amex turn around and sue the wine shop. I’m sure they have other customers who were also screwed out of their wine. And where are the consumer protection people? This guy cannot be the only person who didn’t get his wine? @DJ – It’s really up to the bank’s discretion–and even then really up to an individual agent/supervisor. I’ve charged back stuff 7-8 months out before without issue, and on separate occasions had other agents tell me 6 months is the max. JohnB – The wine shop is long gone. They were running a pyramid scheme with wine futures. The timeline of the chargebacks makes perfect sense to me. Futures mean you pay in advance for something that will arrive in a year or two (typically). The wine shop is then supposed to take your money and use it to pre-buy the wine. PC was instead trying to make a extra margin on the futures price and the release price by waiting until after release to buy the wine needed to fill orders they’d taken (and they’re futures prices were too good to be true). When the average post-release price ended up being substantially more than the futures price they’d charged, the whole thing collapsed and many people got screwed. Moral of the story is that futures are a risk. Great article. It was a Ponzi scheme. Commentators apear unfamiliar with the concept on en primeur which many wine aficionados participate in. Basically for a given vintage producers sell futures for each vintage typically available about 2 years after purchase of the futures. The reason is that wine needs to be in the barrel for about that time before it becomes drinkable, though many fine wine vintage are really not at their peak for 15 years after release. Thus the purchaser does not know he is being defrauded until at least two years. Buying en primeur makes you a general creditor of the retailer you bought it from and does not impose any obligation on the producer. Important when buying en premier to buy only from highly reputed and financially stable retailers for which in Burgundy I cannot think of one in the US! I think this reasoning is flawed. The credit is the amount advanced by the bank to finance the purchase by the cardholder. Once that amount is paid, the credit is no longer outstanding, regardless of delivery. As a practical matter, credit card issuers are normally able to be more aggressive in pursuing chargebacks even after the balance is paid because they have an ongoing relationship with merchants which permits them to offset chargebacks against future charges by other cardholders for the same merchant. But that leverage disappears for stale charges against bankrupt merchants where no opportunity of offset exists. The issuer is not a guarantor that the consumer will get what it purchased with the credit card. How did Chase calculate the amount they refunded? If it’s true that he bought wine futures, and not wine, then I agree the credit card company owes nothing. If I was able to buy stock in a corporation using a credit card and a year later that corporation’s stock price fell by 50%, I still got what I paid for, and the credit card company owes me nothing. Likewise, if the company goes bankrupt and the stock becomes worthless, same deal. There’s no reason the bank should honor any chargeback just because the investment didn’t work out. One would hope that despite the large sum of money, it is a very small percentage of a much larger, well diversified portfolio, and as such, this loss is ultimately insignificant. I’m not a lawyer, but the way I read this is that the credit must be on the card at the time of submission of the charge back, by may be able to be paid off while the charge back is being investigated. It seems to indicate that the time of submission is pertinent, not the time of closure. A clear cut case where bad facts lead to worse law. He pays the charges like all is good. Then waits to claim until the company goes under and the bank has nobody to go against. I can see the bank’s point. If it’s futures then it seems to just be an investment gone bad. the 10th circuit judges ned work or new judges!! Banks are very protective of lawsuits involving credit cards. Much profits at stake. First, the law involves consumer protection, not large commercial transactions. If a small bank handled this transaction and had to refund or even defend it legally, they could go under. 2nd, the recourse is well past the point when the transaction could be reversed or stopped. Even AMEX would have paid the merchant by the time the claim was made. 3rd, how this go to court? Any law student knows that even if he had not paid the balance off, he has at the most 60 days ( depending on billing cycle) to contest a charge. If I prepay travel 6 months in advance, such as fly-by night B&B, the credit card company cannot know or assume that the service is for 6 months from now. This presents an opportunity for CCC’s to function as escrow agents, collecting maybe 15-30%apr, or not, to hold the funds between party’s until service is performed at a long future date. Perhaps this case will help the bank attorneys to write the laws, I mean contracts, to facilitate this product feature launch. Ok, forget that it’s 2 years and $1M. What about my vacation that I’ve paid for now that will take place in more than 2-3 months. What if that company goes belly up before I take that vacation? And, since I am a responsible adult who lives within my means, I always pay my credit card balance in full each month. So because of that I’ll be screwed? This is exactly what is wrong with our country, and because of who is in office, it’s not going to get any better for consumers. No one, no matter what your affiliation, can dispute that. Insane and shameful.